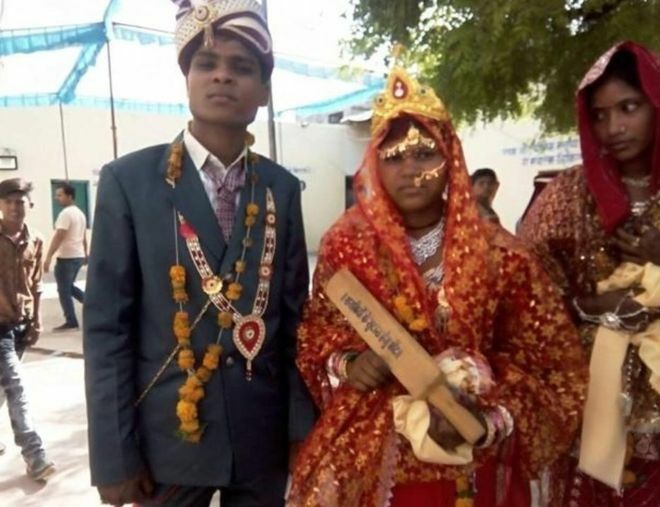 Hundreds of brides at an Indian mass wedding have been given wooden bats and urged to use them as weapons if their husbands turn abusive. Messages such as “for use against drunkards” are written on the paddles, which measure about 40cm (15in) and are more traditionally used for laundry. Gopal Bhargava, a state minister in Madhya Pradesh, said he wanted to highlight the issue of domestic abuse. He told the women to try to reason with their husbands before using them. But if their spouses refuse to listen, they should let the paddles – known as mogri and usually used to beat dirt out of clothes – “do the talking”, he said.